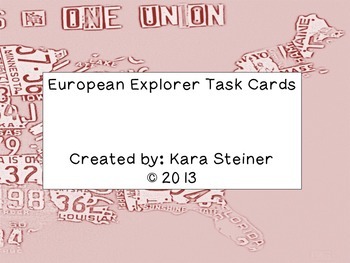 Task cards that focus on the European Explorers for 4th grade Social Studies curriculum! Students can work on their graphic organizers and complete important information about the different explorers. 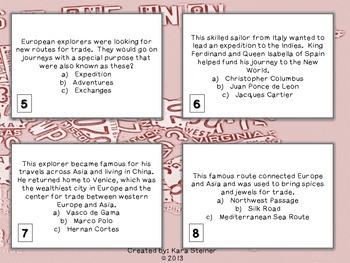 They can answer questions using the different task cards on Christopher Columbus, Jacques Cartier, Juan Ponce de Leon and other famous explorers that came to America. They will learn about their discoveries by using these task cards. A great assessment tool! Also can be used for students in their Social Studies Journals!